If you dream of making movies that will be loved by millions of people, you might want to look into attending one of the best film schools in the world. 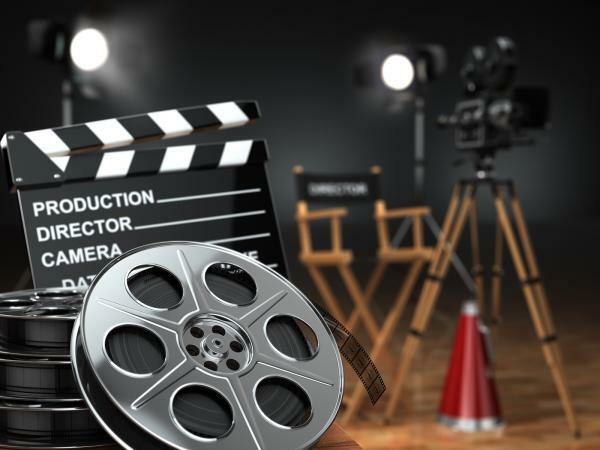 To discover which schools are the cream of the crop when it comes to success in the film industry, experts weigh a number of factors including graduation rates, starting salary, prestige, prominent alumni, and rankings by industry pros. The very best film schools consistently appear on lists compiled by The Hollywood Reporter, USA Today College, and CEOWORLD Magazine. Tisch School of the Arts, centered around media arts and performing arts, is part of New York University's College of Arts and Sciences. The renowned school, known as Tisch, claims the top spot on CEOWORLD Magazine's list of the best film schools in America and the number two spot on USA Today College's list of the ten best schools for a film degree. There are over 25,000 students enrolled at NYU, and tuition runs in the neighborhood of $49,000 a year. To attend Tisch, you must first apply to NYU using the Common Application, making sure you submit all academic transcripts and SAT or ACT test scores. Tisch is highly selective and requires that you undergo an artistic review, for which you must submit a portfolio showcasing your creative interests and ability. Programs of interest to aspiring filmmakers include Cinema Studies, Dramatic Writing, and Film and Television. All these programs lead to the Bachelor of Fine Arts (BFA) Degree. Charlie Rubin, accomplished writer and producer, is an Associate Professor of Dramatic Writing. Tisch boasts an impressive roster of celebrated alumni, including television writer and producer Damon Lindelof, independent filmmaker Joel Cohen, and directors Oliver Stone, M. Night Shyamalan, and Martin Scorsese. Heralded as the top pick on The Hollywood Reporter's list of the top 25 American film schools, the University of Southern California's School of Cinematic Arts is located in Los Angeles, California, near Hollywood, the movie capital of the world. 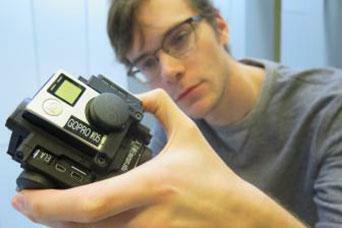 The school also won the top spot on USA Today College's list of the ten best U.S. schools for pursuing a film degree. To gain admission to the School of Cinematic Arts, you must apply to USC using the Common Application and submit official transcripts and ACT or SAT scores. Each film-related program requires you to submit a SlideRoom Application, which consists of samples of your work, a portfolio, and letters of recommendation. USC has an enrollment of 43,000 students, and undergraduates pay around $51,000 per year in tuition. The School of Cinematic Arts offers five undergraduate programs that relate to multiple aspects of the film industry, each of which leads to either the BA degree or BFA degree. Screenwriter Howard A. Rodman is a Professor in the Writing for Film and Television program. Notable SCA alumni include producers Susan Downey and Shonda Rhimes and directors Jon Chu and Rick Famuyiwa. Animation and Digital Arts focuses on how to bring animated characters and their stories to life. Media Arts and Practice teaches students how to apply technology, whether web design or virtual reality, to communicate a wide range of stories and messages via digital media effectively. Cinema and Media Studies emphasizes how various careers in the film industry work together to make a cohesive whole, from directing to writing to management to film production. Film and Television Production is all about lights, camera, and action, developing skills in creating and editing film and video. Writing for Film and Television concentrates on how to create scripts for film, television, video games, and web pages. In 1961, Walt and Roy Disney founded California Institute of the Arts, a college located in Los Angeles that offers degrees in performing and visual arts. CalArts's School of Film and Video is ranked number four on CEOWORLD Magazine's list of top film schools, and The Daily Beast named CalArts the most artistic school in the United States. There are about 1,500 students enrolled at CalArts, and tuition costs approximately $42,000 per year. To apply to CalArts, you'll need to put in an application and have your official transcripts sent to the Admissions Office. You must submit three letters of recommendation and an Artist Statement that explains your goals as an artist. The School of Film and Video requires you to provide a portfolio showcasing your work in video or film. Programs at the School of Film and Video include Film and Video, Experimental Animation, and Character Animation, each of which leads to the BFA degree. When reviewing an animated series by alumni Alex Hirsch, the Los Angeles Times affectionately referred to CalArts as the Harvard Business School of Animation because of the many animation greats who received their degrees there. Other notable alumni include filmmakers Tim Burton and Brad Bird and director Chris Buck. Ranked number three on USA Today College's list of the ten best U.S. schools for pursuing a film degree, Emerson College is located in Boston, Massachusetts. However, it has strong connections to the film industry and boasts an outstanding internship program called Emerson Los Angeles (ELA) that gives undergraduate film students opportunities to work and make connections in Hollywood. Students attending Emerson College pay around $40,000 per year in tuition, and there are around 3,700 undergraduates enrolled at the school. To apply to Emerson College, you must submit an application along with academic credentials, including official transcripts and ACT or SAT test scores. As a prospective major in Media Production, you will need to submit a sample of your creative efforts, which may consist of film or video, an audio clip, a script, and digital photos. Aspiring filmmakers who attend Emerson College can choose between three degree programs, housed in the Department of Visual and Media Arts. The programs emphasize learning through hands-on experience. Renowned Emerson alumni include television producers Kevin Bright and Norman Lear and television executive Doug Herzog. BA in Production teaches students about media production in multiple areas, including film, video, audio, and interactive media. BA in Media Studies prepares students for research-based careers in the entertainment industry, including criticism and scholarly analysis. BFA in Media Arts Production requires that students focus on the media of their choice, such as film or video, and work with faculty to create a capstone project, which represents a culmination of their foundational and technical knowledge. The UCLA School of Theater, Film, and Television, also known as TFT, is located in Los Angeles, California. It ranks number four on both The Hollywood Reporter's list of the top 25 American film schools and USA Today College's list of the ten best film schools in the country. Assisted by the Academy of Motion Picture Arts and Sciences, TFT was the first university program of its kind to bring together studies in motion pictures, radio, and theater. Admission to TFT is highly selective, with only 8.2% of all applicants being accepted. There are 269 students working on degrees at TFT, both undergraduate, and graduate. To be accepted to TFT as an undergraduate, you must apply to UCLA and have your official transcripts and test scores sent to the Admissions Office. You must complete a supplemental application for the Film and Television major for which you'll provide a personal essay, two letters of recommendation, and a writing sample. Tuition costs around $16,000 per year if you're in-state and around $42,000 if you're out of state. UCLA is a large school, with over 43,000 students enrolled. A TFT student interested in working in the film industry should major in Film and Television. The program instructs students in all aspects of film and television production and leads to the BA degree. Students learn history and theory of both film and television production; then they work to develop the technical skills they will need. The program also emphasizes craft, which includes writing, directing, editing, and photography. Award-winning producer Teri Schwartz is Dean of TFT. Accomplished alumni include director and actor George Takei, director Justin Lin, and producer and director Frank Marshall. Loyola Marymount University School of Film and Television ranks number six on USA Today College's list of the ten best U.S. film schools and number eight on The Hollywood Reporter's list of the 25 best U.S. film schools. Located in Los Angeles, California, LMU School of Film and Television is an excellent choice if you want a career in animation. The school was ranked number 32 on Animation Career Review's list of the best animation programs in the country for 2017. 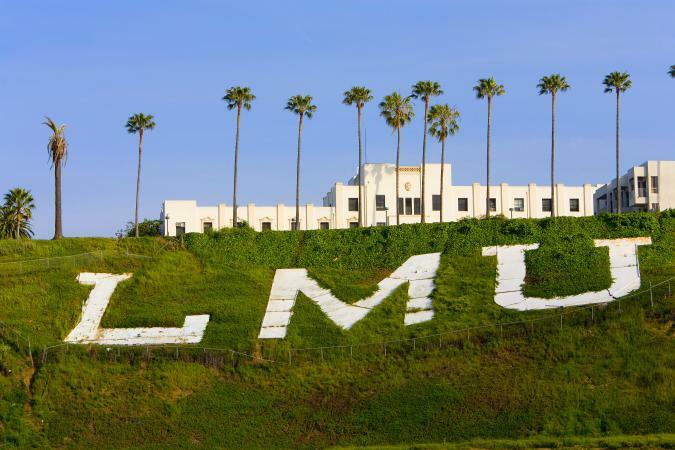 LMU is a medium-sized university, with just under 10,000 students enrolled. There are 736 students in the School of Film and Television, and tuition per year runs about $44,000. To attend, you'll need to apply to LMU, using either the Common Application or the LMU application. You'll need to have your official transcripts and SAT or ACT test scores sent to the Admissions Office, and LMU also requires a letter of recommendation. If you plan to major in Animation, you must put together a portfolio of your artwork for consideration. LMU School of Film and Television offers five programs for students who want to work in the entertainment industry: Animation, Production, Recording Arts, Screenwriting, and Film, TV & Media Studies. Graduates of these programs earn the BA degree, and all five programs emphasize collaboration and hands-on learning so students can discover their unique gifts. Highly acclaimed alumni include producer and director David Mirkin and directors Jay Oliva and Van Partible. Lodz Film School is one of the world's oldest film schools, and it's still going strong in Lodz, Poland. The school ranks number two on The Hollywood Reporter's Top 15 International Film Schools list. There are fewer than 800 students, both full-time and part-time, who study at Lodz Film School. Tuition for one year ranges from $8,300 to $15,000 for U.S. students. To gain admission, you must submit an application as well as your official transcripts, which must be translated into Polish. You'll need to provide a copy of your passport, a resume or curriculum vitae, and four photographs. Lodz also requires you to submit an artistic portfolio consisting of film or video, a script outline, an idea for a documentary film, and a series of themed photographs. You'll also need to pass an entrance exam and learn to speak Polish. Lodz Film School offers four programs of study. In five years, students can earn an MA Consolidated Studies Degree. Lodz Film School boasts a number of world-famous alumni, including directors Roman Polanski and Krzysztof Kiezlowski and cinematographers Dariusz Wolski and Pawel Edelman. Film and TV Direction focuses on directing, screenwriting, and editing. Direction of Photography and TV Production concentrates on animation, special effects, photography, and television production. Acting prepares students to become film or television actors. Film Art Organization Production teaches students about organizing the various aspects of media production and how these aspects all work together. Known as NFTS, the National Film and Television School, located in London, England, is the highest-ranked institution on The Hollywood Reporter's list of the top 15 international film schools, and it's also dubbed England's best film school by TopUniversities. There are around 250 students enrolled at NFTS, and tuition per year ranges from $17,800 for domestic students to $37,000 for international students. To apply for admission at NFTS, you'll need to put in an application, and you'll have a chance on the application to indicate your particular interests in film and describe your creative experience. The most important qualifier for admission at NFTS is talent, and you'll need to submit a portfolio of your creative work. NFTS offers a Masters Program to both domestic and international students who show strong potential as filmmakers. The Masters Program takes two years to complete and includes a comprehensive array of subjects and specialties relevant to filmmaking. Students learn about screen history, aesthetics, cinematography, directing, producing, editing, and the cutting-edge technologies that exist to bring their visions to life. Celebrated NFTS alumni include directors Dario Marianelli, Yann Demange, David Yates, and Lynn Ramsay. If making movies is your passion, then you would doubtlessly find a career in film to be rewarding. While it's a considerable challenge to break into the film industry and get noticed for your talents, there's no doubt that attending a distinguished film school that's celebrated for its excellence will help you write your ticket to success.